Tea bags have been utilized for centuries. 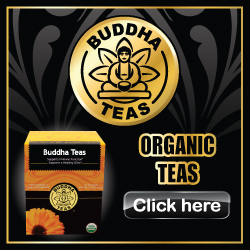 They’re convenient and simple, making them a top choice among herbal tea enthusiasts. However, many do not consider the processes used to make tea bags, and fewer still seem to realize that sometimes the production of tea bags can introduce harmful chemicals into the tea. This not only changes the delicate flavor of the herbs used in the tea, but it also puts your body and health at risk. The history of the tea bag began over a century ago in the year 1903. A New York merchant named Thomas Sullivan happened across the invention by pure accident when he sent out some samples of his tea to customers in small silk bags. The customers, misinterpreting the intention of the bags used them in the same way they had grown accustomed to using metal tea infusers; by submerging them in their cup of tea. As soon as Sullivan caught word of what his customers were doing, he worked quickly to better develop them for that specific use, switching to gauze like material so that the tea would pass through easier. Thus the invention of the tea bag was born! Over the years, the look of the tea bag changed very little. Tea bags today are made using a paper that’s produced from vegetable and wood fibers. The additions of the string and decorated tabs have made the already convenient tea bag even more convenient, allowing the tea bag to be steeped and removed with ease. The production of tea bags today is usually done by use of factory machinery. Once the tea is inside the tea bag the bags are sealed using a heat resistant thermoplastic. Sometimes, the paper of the tea bag is bleached white because it gives them a fresher, more inviting look to consumers. However, the bleaching of tea bags is usually done with chlorine which can leave many harmful residues of toxins on the tea bags. Not only does this alter the flavor of the tea, but it also introduces the chemicals into your body which can lead to many unwanted health problems. When tea bags are bleached with chlorine, toxins such as dioxins linger on the bags, eventually getting into the tea we drink. Dioxins are some of the most toxic chemicals that are presently known. According to research and reports, there is no known safe level for dioxin that someone can be exposed to. This hazardous chemical can cause many health defects, though the most common defect caused by dioxin is cancer. Other health issues that are linked to dioxin are decreased fertility, reduced sperm count, birth defects, diabetes, the suppression of the immune system, respiratory ailments, skin disorders, as well as many other illnesses and defects. The awareness of consumers has led many of them to switch to companies who will offer their teas in organic, bleach and dioxin free tea bags. This alternative is not only much healthier, but also may allow the tea to taste better as well. Whenever possible, it is always better to avoid the use of chlorine bleached tea bags so that there is no exposure to the risk of harmful chemicals. Many companies will inform the consumer of their use of bleach free tea bags by labeling the outside of the packaging with statements of bleach or dioxin-free tea bags. Some companies will also make statements on their websites that will allow a customer to know whether their tea bags are bleach free or not as well. Keep your body healthy by making certain that the teas you buy are offered in bleach free tea bags.